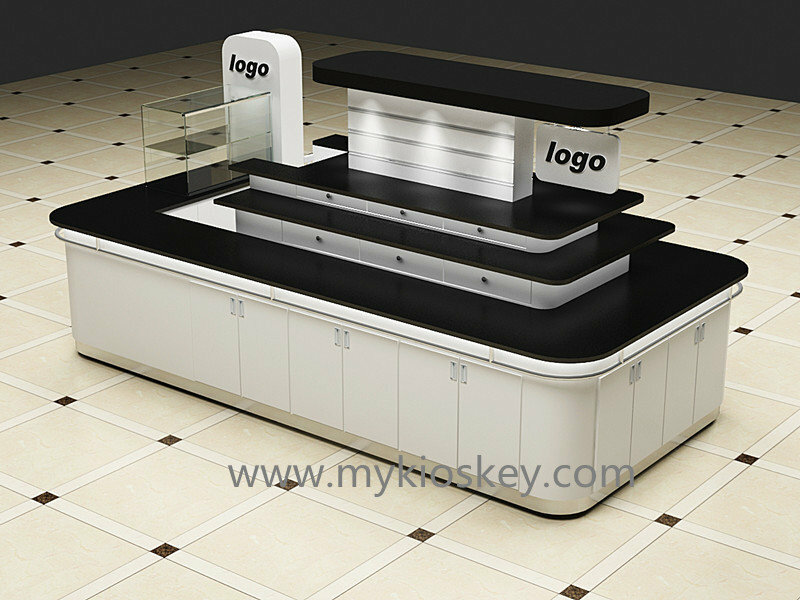 As we all know , Australia mall criteria is very strict on kiosk details , they always require new and high quality material . 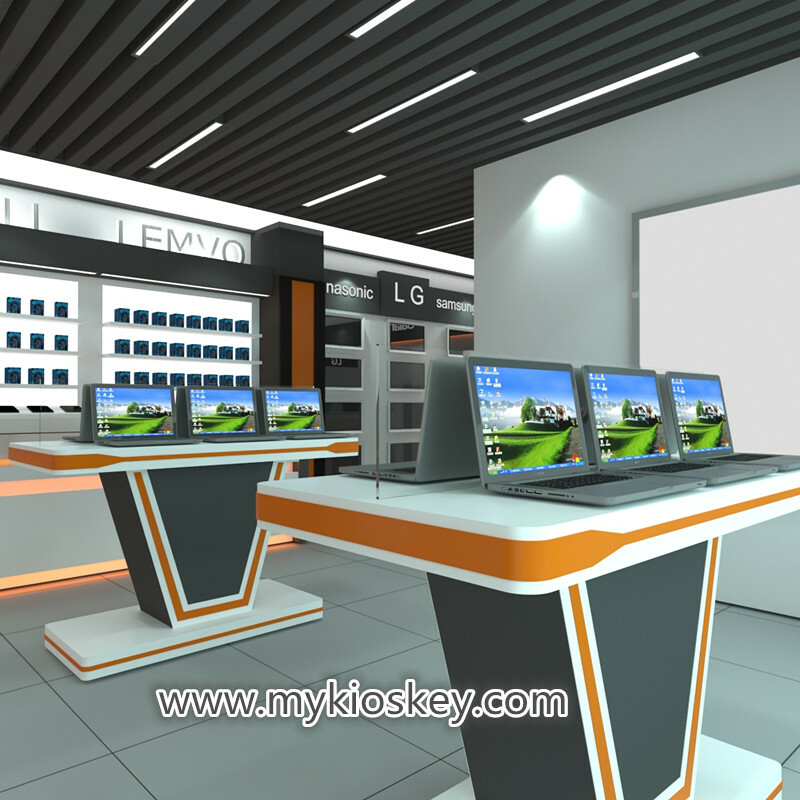 Even it’s very hard to get approval by mall management , beacuse they always want the best ! 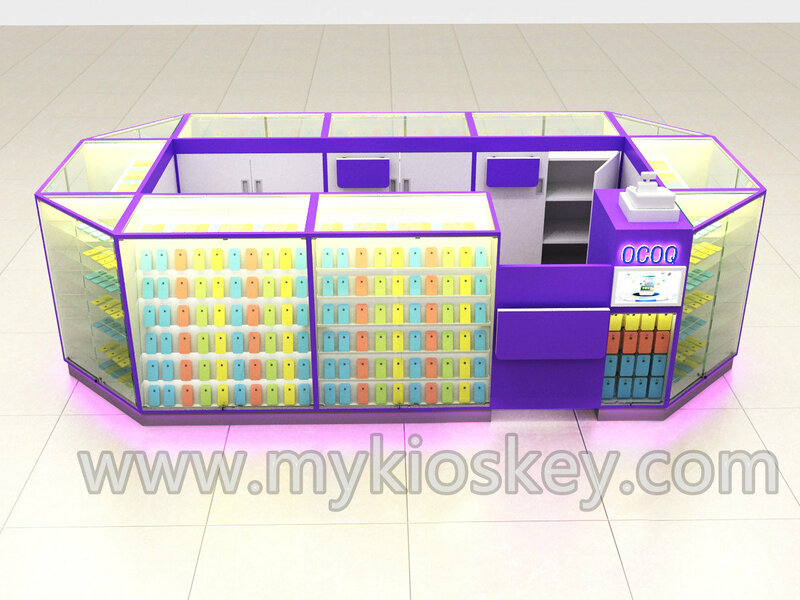 If you are going to open a mobile phone kiosk in Australia , hope this article will helps . 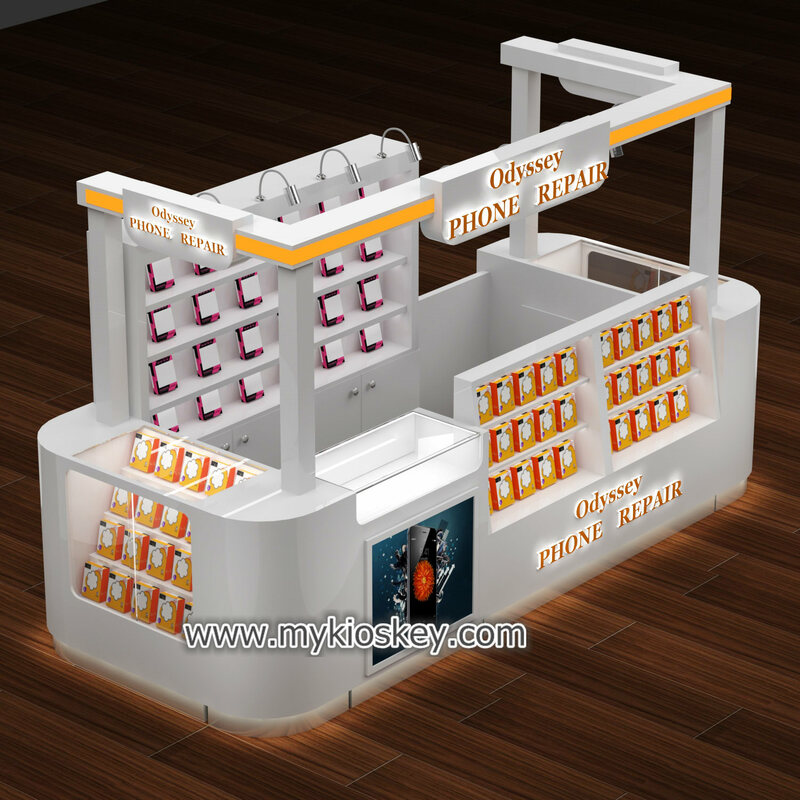 Here is one of phone display showcase we built before . Australia designer drew it , but customers didn’t want to order on local. 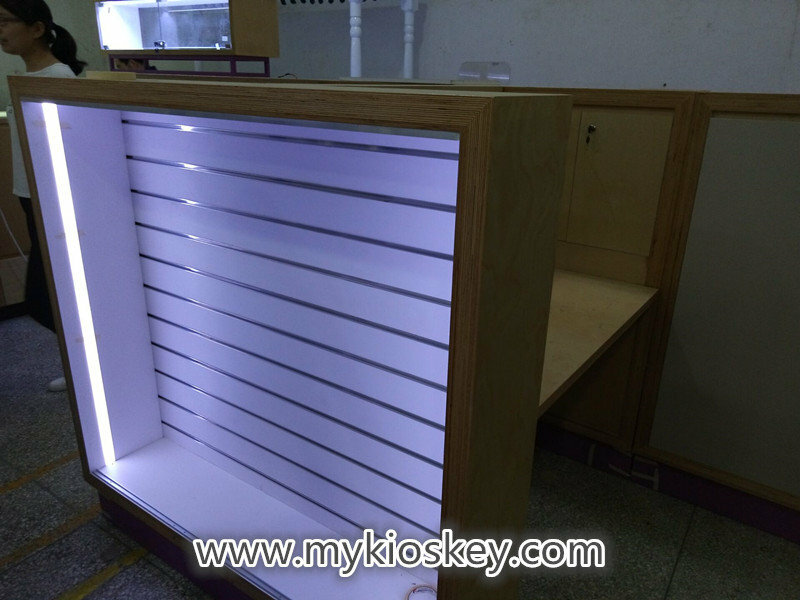 They chose us , beacuse of our price was reasonable and good quality . 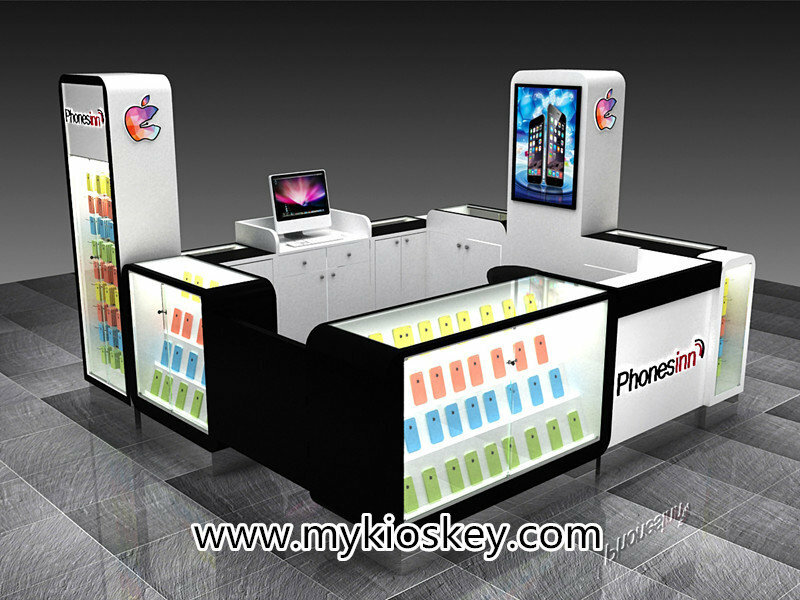 See real images of mobile phone kiosk . 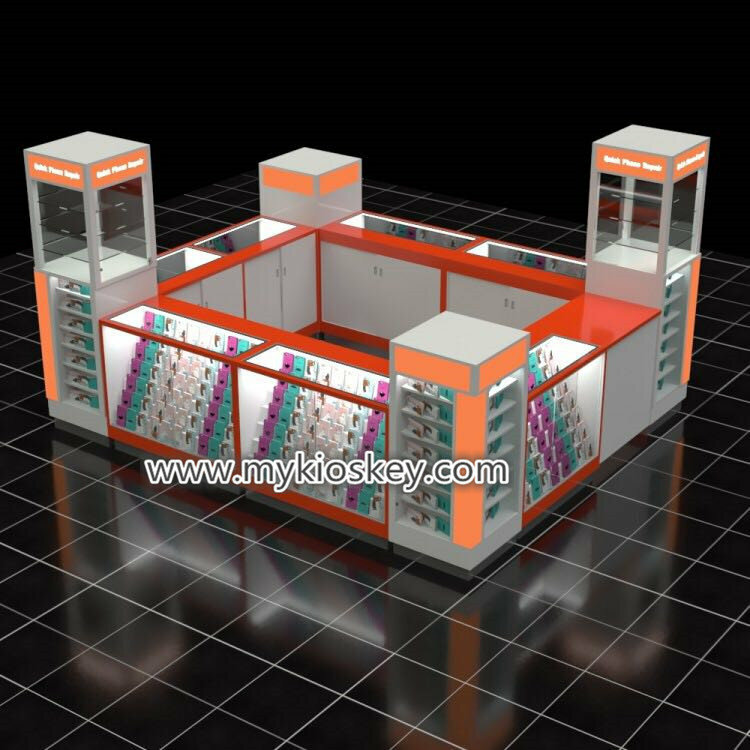 This mobile phone kiosk we used import high end laminate , surface finish by floor slab . 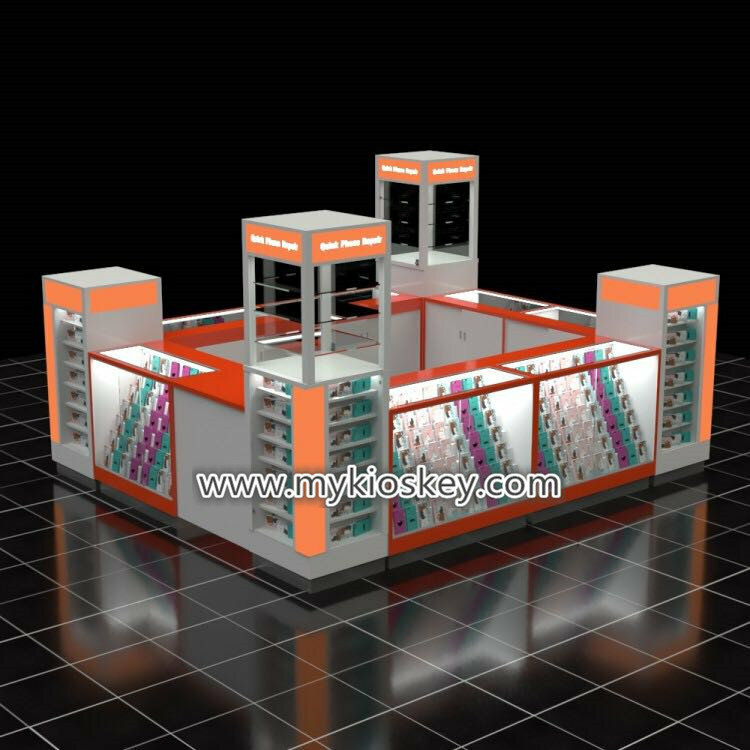 plylon use stainless steel , glass showcase use 10mm tempered glass . kickplate use stainless steel with purple power coat . You can see the material are natural , while you touch it’s smoothed . 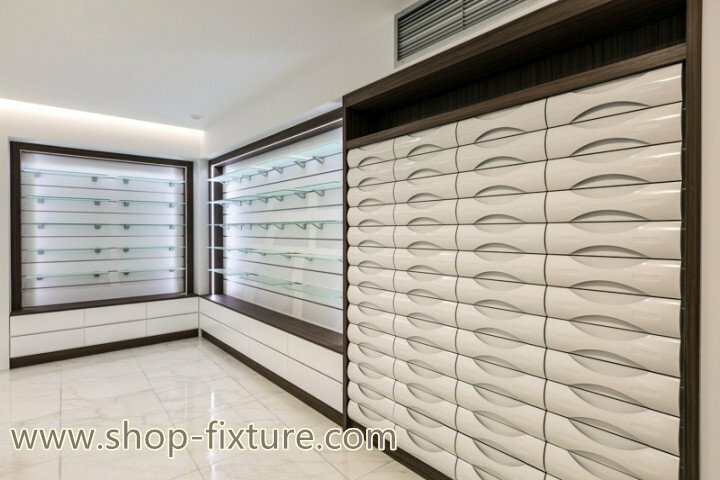 Another feature is , the storage cabient we installed hinge door , which means when you take out items , the door can be close by automatic , very convenient . 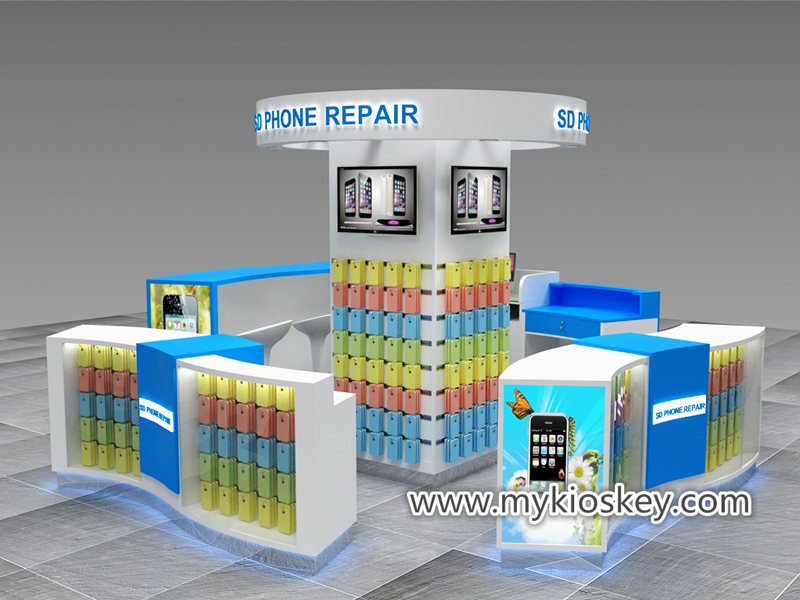 According to the drawing , there are two repair desk in the middile . Also there are shelves and cabinets next to repair desk . For more information ,please contact us . contact us , tell us your ideas . 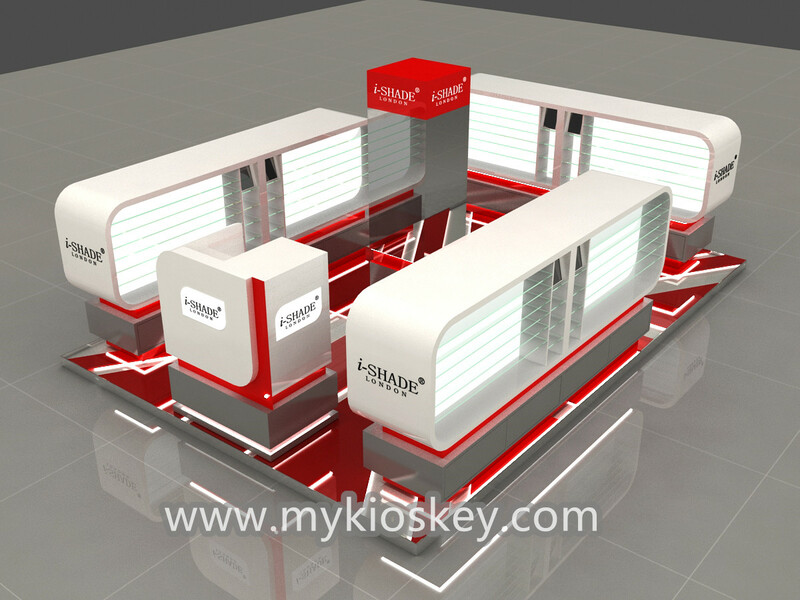 pay $300-$400 design deposit for complete 3d design . agree with price , pay 50% deposit . 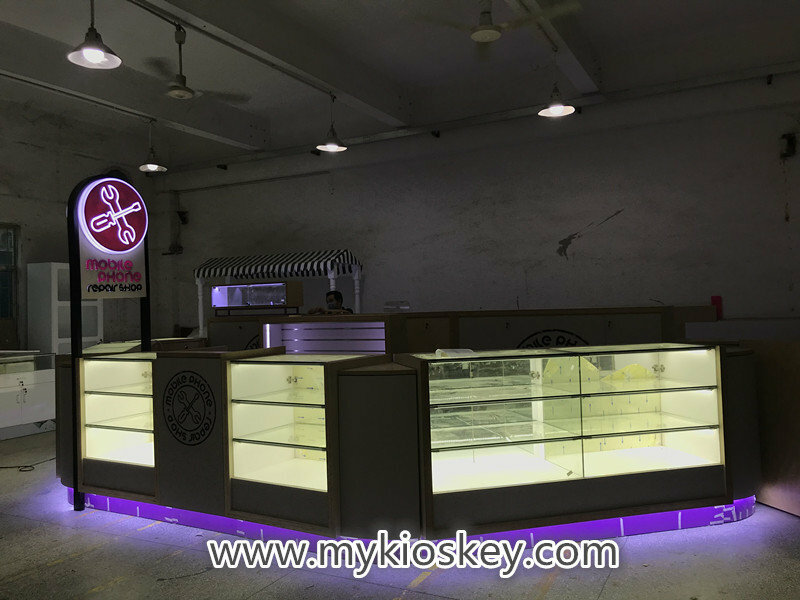 salesperson update real production pictures from time to time . 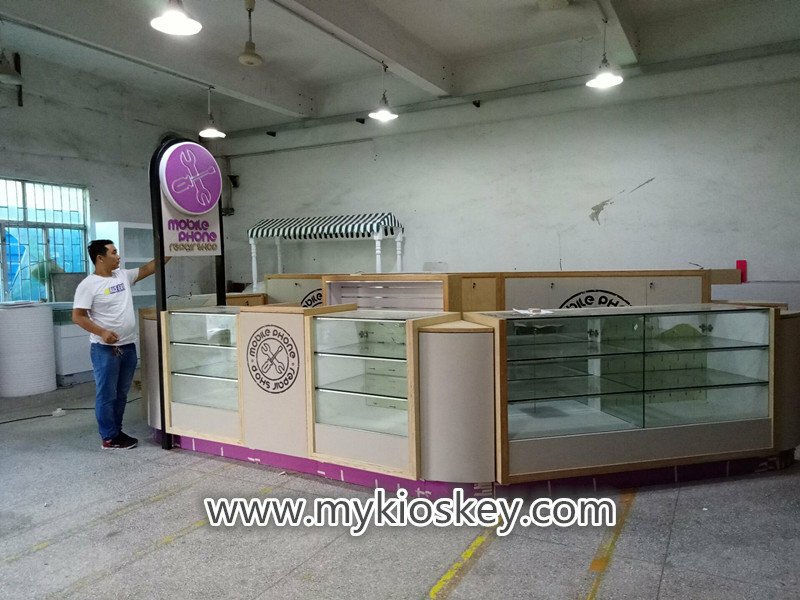 arrange shipment for oversea buyers . 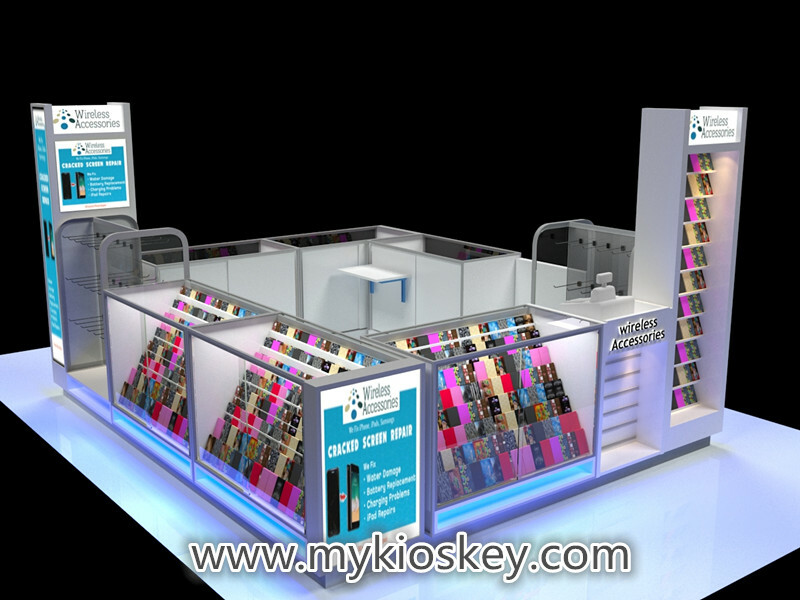 contact us if need after sales serivce . 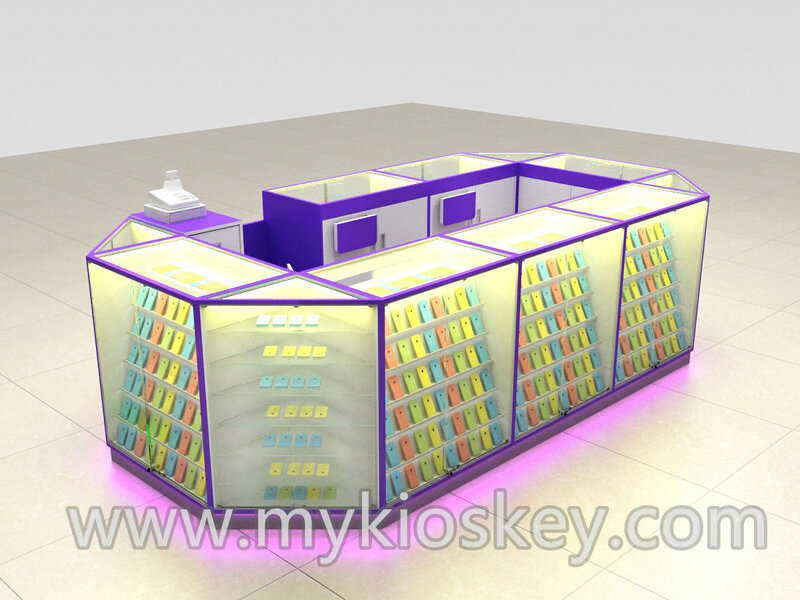 If you have plan to open shop furnitures or mall kiosks , feel freely to contact us . 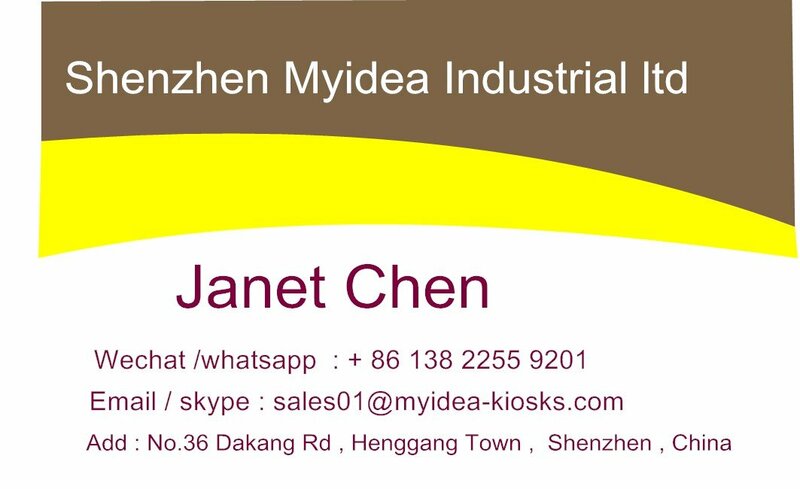 see below name card . thanks for reading .